Home Ecology Bat-roost? To curb malaria! 110 years ago, one man set out to rid Texas of Malaria – with the help of what was then a very unlikely source… bats! Dr. Charles A. Campbell had a simple plan. He knew that bats eat mosquitoes, and believed that if he could entice thousands of bats to live in Malaria-ridden areas, they would single-wingedly eradicate the disease. After years of fruitless experimentation with small roosting boxes, he decided to go BIG, with a 30-foot tower containing roosting shelves, guano lures, and a meal plan – three large hams! The $500 contraption was, alas, a flop. Campbell realized that he didn’t understand bats enough to provide suitable homes. He spent months studying caves and roosts to learn what bats needed most. 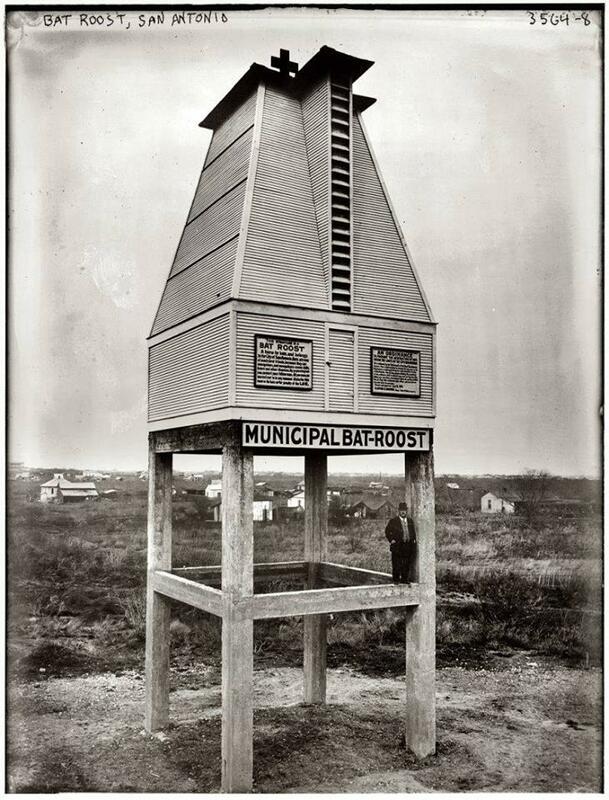 In 1911 he constructed a new, improved tower at Mitchell’s Lake, where 90% of the locals were sick with Malaria. Within 4 years, Mitchell’s Lake was Malaria-free. Word spread of the bat roost’s success, and 16 “Municipal Bat Roosts” went up from San Antonio to Italy, eradicating the disease wherever they were placed. Dr. Campbell, inventor of the bat house, medical pioneer, unintentional bat scientist, was responsible for saving hundreds of lives from Malaria, and for the subsequent statewide protection of all bats in Texas for over 30 years. He proved that bats could coexist with human beings, and make our lives better because of it. So for Febuary, remember Dr. Campbell, and remember to love a bat today! Previous articleWhat makes poison dart frog resistant to their own poison? Mantis shrimps are called "sea locusts" by ancient Assyrians, "prawn killers" in Australia and now sometimes as "thumb splitters" – because of the animal's ability to inflict painful gashes if handled incautiously. These animals sport powerful claws that are used to attack and kill prey by spearing, stunning, or dismembering. In captivity, some larger species can break through aquarium glass.